XENTAVO hopes its blockchain-based products and services will assist private and public leadership in small nations to focus efforts towards development through responsible regulation of their national financial systems. With a narrow economic base, small states often have difficulty spreading economic risk across productive sectors. They face proportionately (to GDP) more exposure to market and disaster shocks. These affect income, employment and expenditure. The World Bank characterizes small states as countries or nations with a small population (less than 1.5 million people), limited human capital and a confined or isolated land area. There are many of these in exposed areas of the world. Think of the Caribbean, Indian and Pacific Oceans. Small states find it challenging to prosper at optimal efficiency and effectiveness. There is no traditional development model that works for this diverse group of countries or nations. With limited economic developmental options, and faced with unforeseeable tsunami-like effects – such as a volatile markets – small states confront the need to avoid added risk when applying monetary systems and policies. most small states are unable to cover the financial costs associated with major national disasters (such as hurricanes, tsunamis, flooding, earthquakes, volcanoes and more). Last year (2017) was devastating to many of the small states located in the Caribbean. In particular, Hurricane Irma and Hurricane Maria caused significant structural and financial distress. In Dominica alone, the 2017 hurricane season resulted in damage which exceeded 200% of it GDP. Puerto Rico’s found its infrastructure wiped out, then unemployment soared as the island’s economy reeled from the ‘Category 4’ hit. Damaged infrastructure means closed hotels. No income means more people leave the island and/or higher unemployment which produces less tax revenue. When distressed businesses remain closed, they cannot generate income. Sustained unemployment rates exacerbate and prolong financial and economic issues for small countries. While small countries must become masters in solving problems related to their recovery and growth, back-to-back large magnitude natural disasters often force appeal for support from other countries, international charitable organizations and private institutions. This is not ideal. 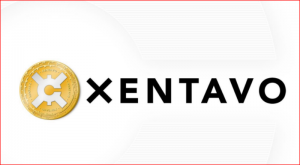 At the heart of the XENTAVO platform is cryptocurrency, in the form of a local currency. This cryptocurrency is blockchain-based, which provides a digitized, decentralized, public ledger of all transactions executed on the platform. Possessing a sovereign cryptocurrency, according to XENTAVO, empowers small nations to transfer money to another account within the system while observing Know Your Customer (KYC) and Anti-Money Laundering (AML) procedures. Furthermore, the XENTAVO platform enables an adopting country to access its funds within minutes. Apply the implications to a small state hit by a natural disaster. supervise and regulate their own national financial operations. modularity: the XENTAVO digital platform implement existing and new fiscal policy and management applications. banking, such as loans based on smart contracts. access to investments and subsidies. Prima facie this is an elegant solution to a recurring problem. With the XENTAVO platform the possibility emerges for small states to assist themselves regain their path to independence and sustained growth, with blockchain technology performing much of the heavy lifting. What is less clear, to Enterprise Times, is how this should work. Does a small state implement this in ‘good times’ – when presumably its capabilities are unnecessary? This demands a leap of faith that all will work as anticipated. Or can a state implement it after a disaster? Might this be akin to the rapid response Télécoms Sans Frontières emergency cellular phone system? The latter would be the most useful. But it is hard to see how or where the ‘starting balances’ would come from to jump start a post-disaster digital currency. cryptocurrencies, even backed by a nation state, remain unproven.